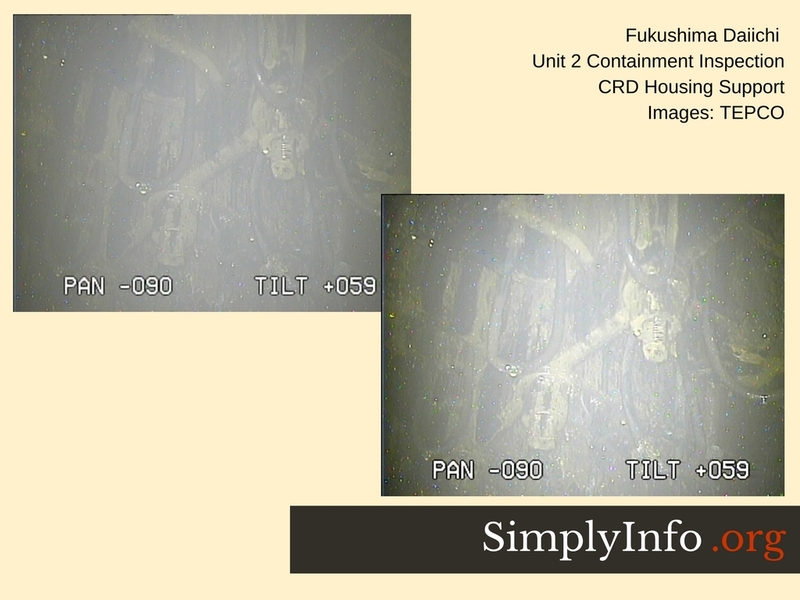 TEPCO released photos and video of the preliminary scope work inside unit 2’s containment. The first set looked at the control rod drive rail. 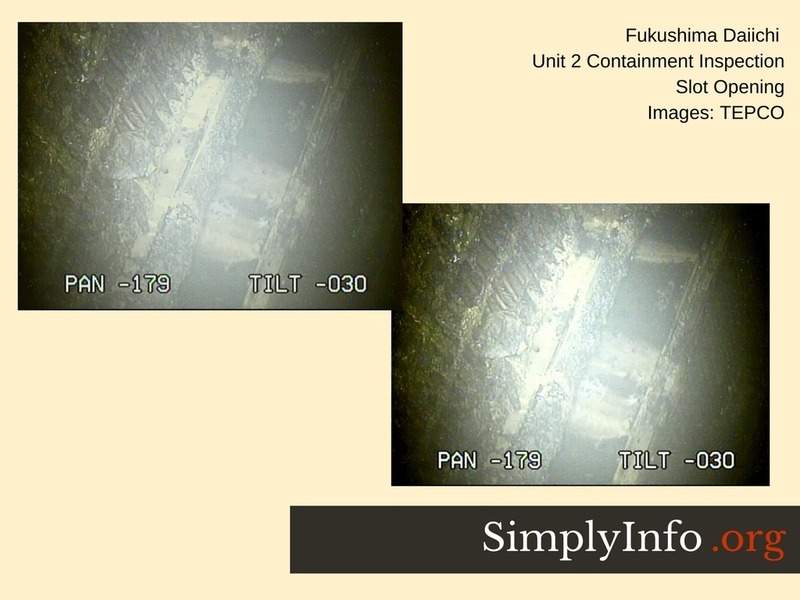 The second set looked inside the pedestal, below the reactor vessel. 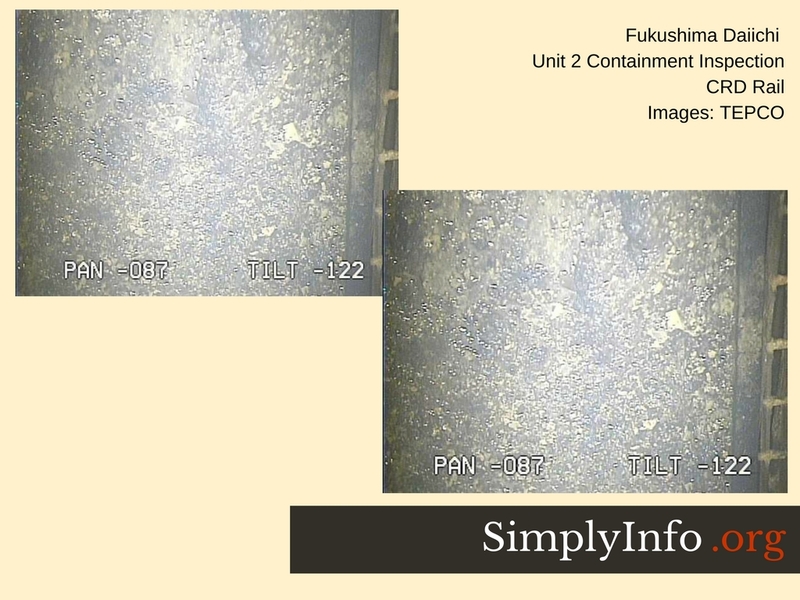 This diagram below, from 2013, shows the area that was inspected this week. The X-6 penetration was used to put the scope into the pedestal area during these newer inspections. 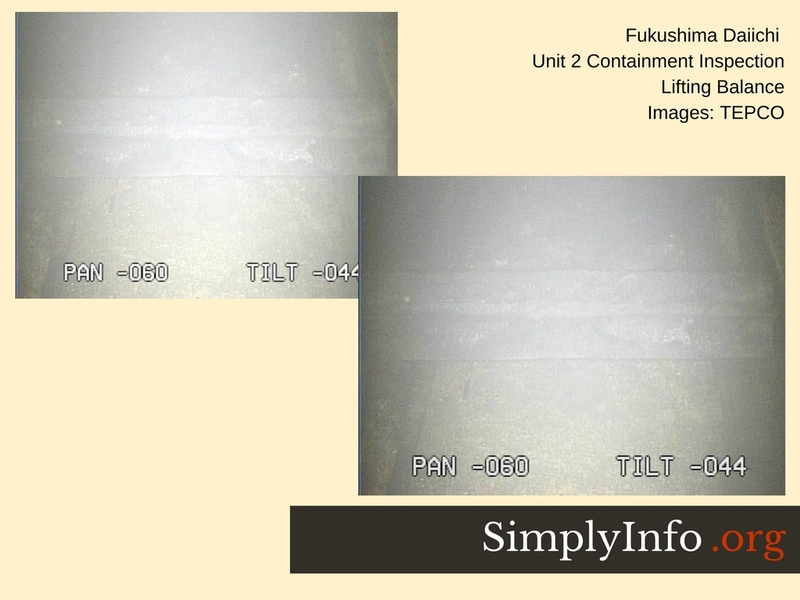 What is important to note is how high above the concrete containment floor the pedestal opening is. The metal floor grate inside the pedestal is also quite high above the concrete floor. These locations are significant to the findings of these recent inspections. 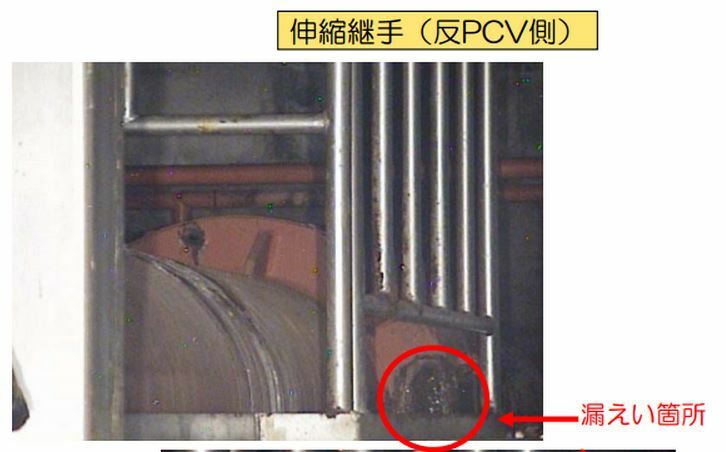 Also noted previously via an NDF report is that earlier inspections found a “partial rupture” of the bottom of the reactor pressure vessel (RPV). 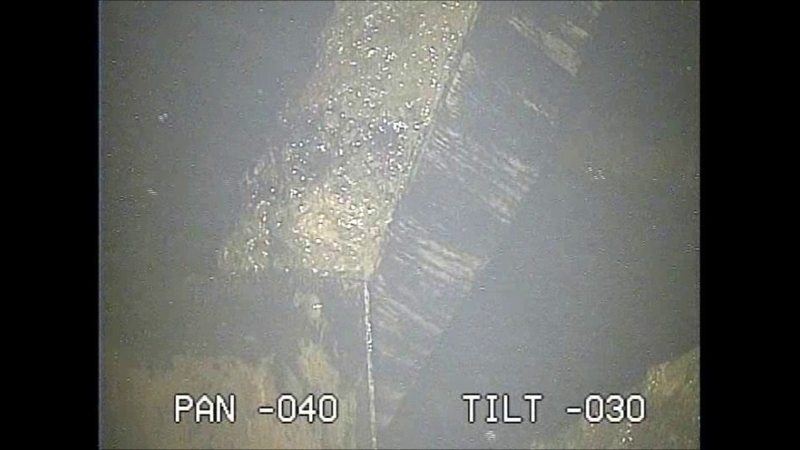 They already knew that the bottom of the reactor vessel failed but did not have a massive failure where the entire bottom melted and collapsed. 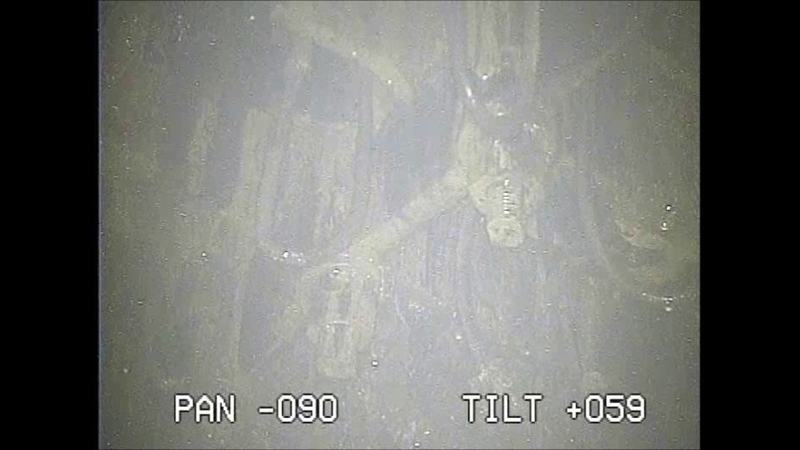 Sandia National Labs found something similar in their computer modeling of the meltdown of unit 2. Their estimates assume a slow failure of the RPV that would allow molten fuel to drip out rather than a catastrophic all at once failure. So any molten fuel falling from the RPV would pass through this region of the grate before ending up on the concrete floor. This region is over half way between the bottom of the RPV and the concrete floor. 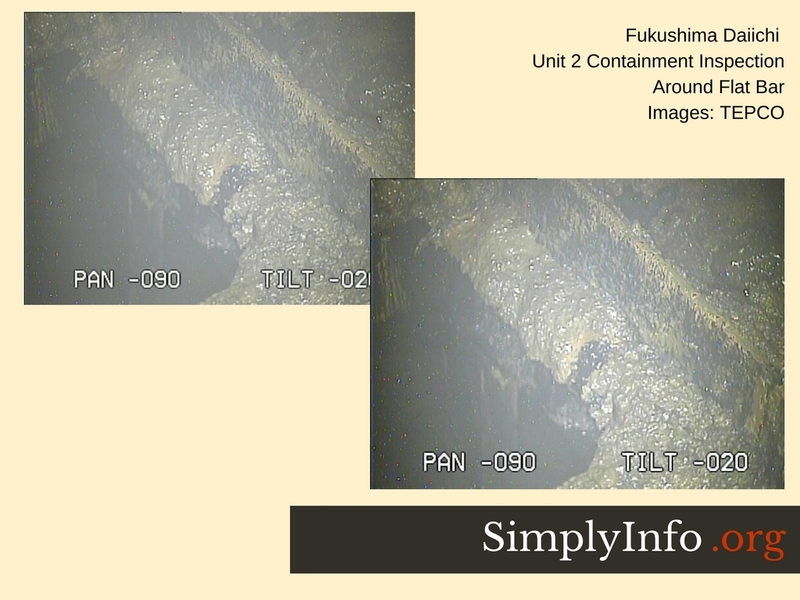 This may explain why they found intact floor grate and hydraulic hoses along the periphery of the pedestal area they inspected. There may have been enough distance and paths for heat to radiate out that these areas didn’t fail completely. Measurements in above graphic are in feet. 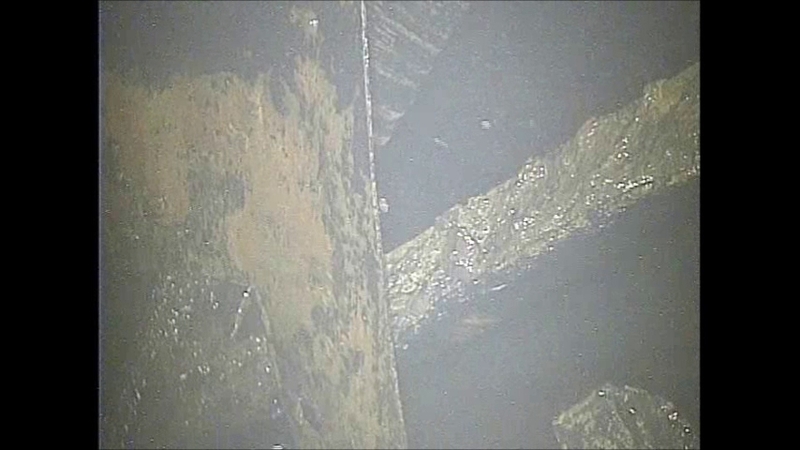 Materials found on the remaining grating appeared to be a mix of black and brown corium (melted fuel mixed with other materials). 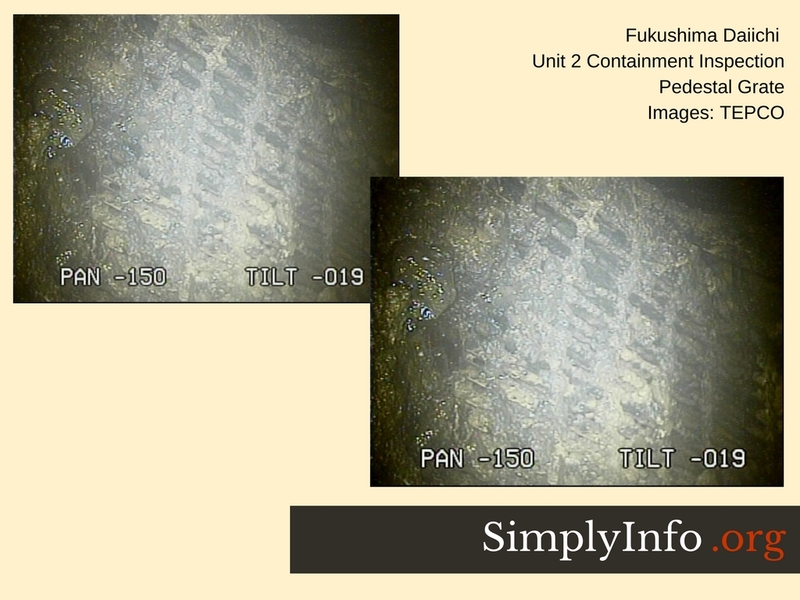 TEPCO claimed it might be burned paint yet the substances appeared to look more like splatters of corium in the locations closer to the center of the pedestal. 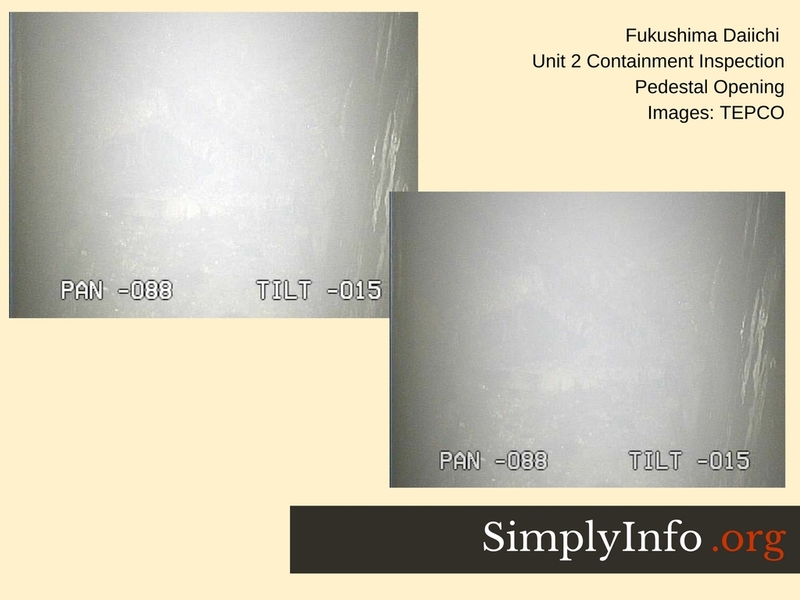 The information TEPCO did release did not include any inspection further into the center of the pedestal where the most damage may have taken place. We did obtain some additional photos from the video. These provided more views but not much additional information, those images are included below the slides at the end of this report. 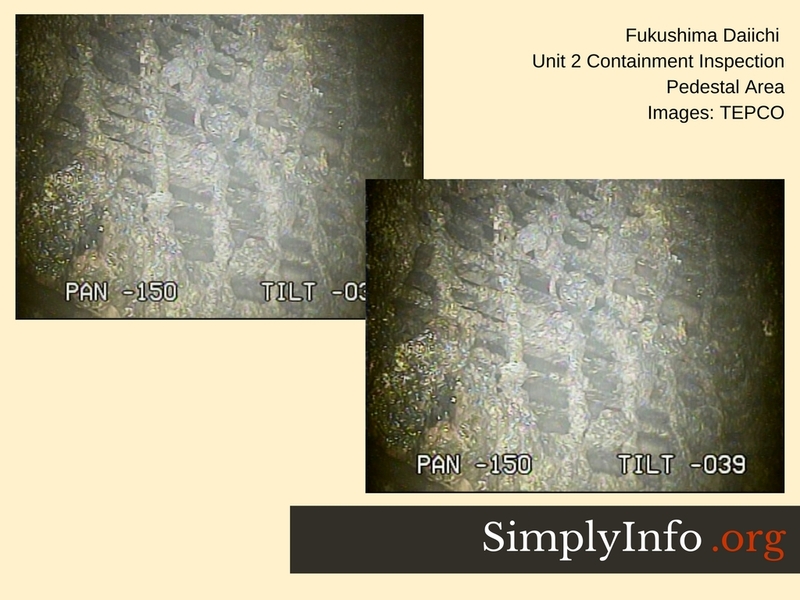 What has been found seems to track with the theory of a slow failure and melt out that may have burned down into the concrete basemat rather than flowed out across the containment floor. These scope inspections were conducted to gather information so they could better prepare for the robot that will be sent in soon. 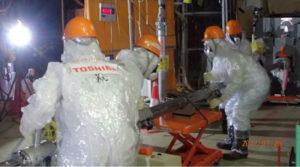 Estimates from IRID indicated they hoped to send in the robot within the next 1-2 months. If the robot works as advertised it should collect radiation data along with imagery from multiple angles inside the pedestal. 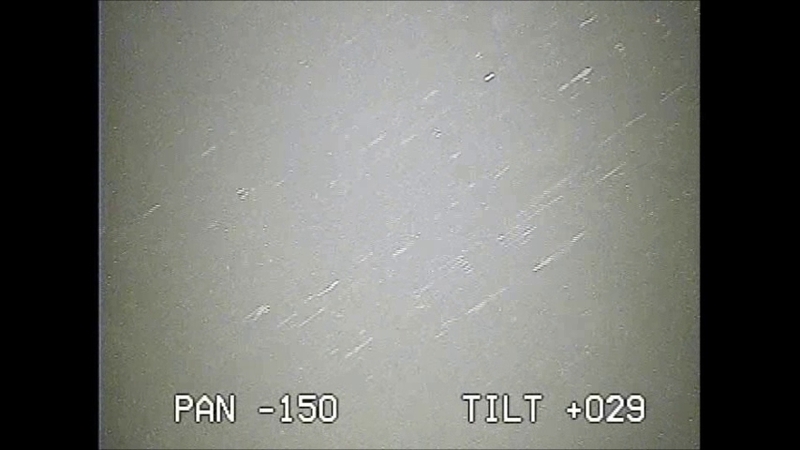 The white areas appear to be a mix of lighter debris and light reflection from the scope. This section has what may be brown corium. This is corium with a high uranium content. The residues appear a bit too thick for burned paint as is seen in other areas of the pedestal. The objects in the images above are the bottom of control rod systems. These are on the periphery of the pedestal and appear to not have been subjected to heat high enough to melt the steel or the rubber hydraulic hoses. This grating section closer to the center of the pedestal shows what appears to be corium splatters along with portions of the grate that appear to be slumped. 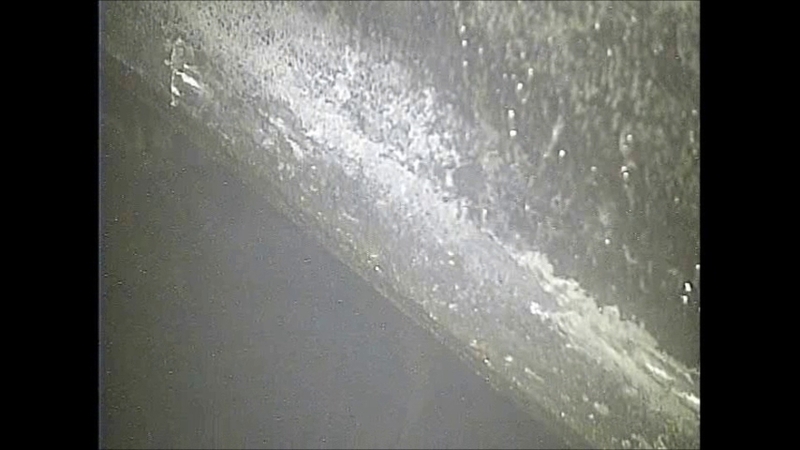 This section of the CRD rail appears to have burned or blistered paint. 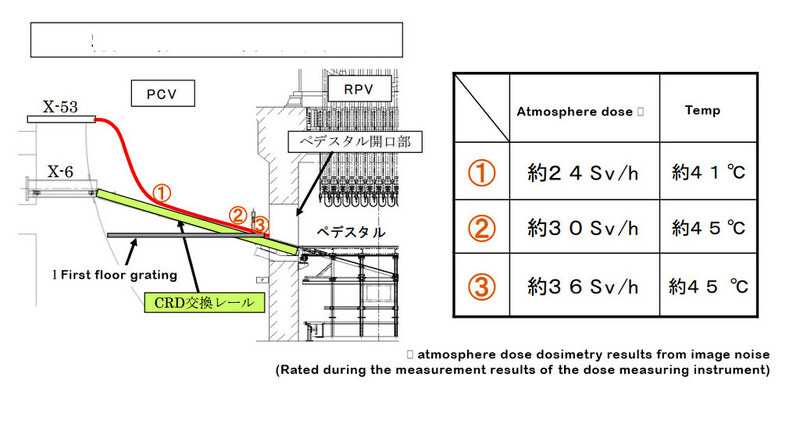 The section labeled as a “lifting balance” isn’t identified in any of TEPCO’s handouts so the location isn’t clear. This area near the pedestal opening appears clouded with steam or interference. A white splatter can be seen along the pedestal wall. 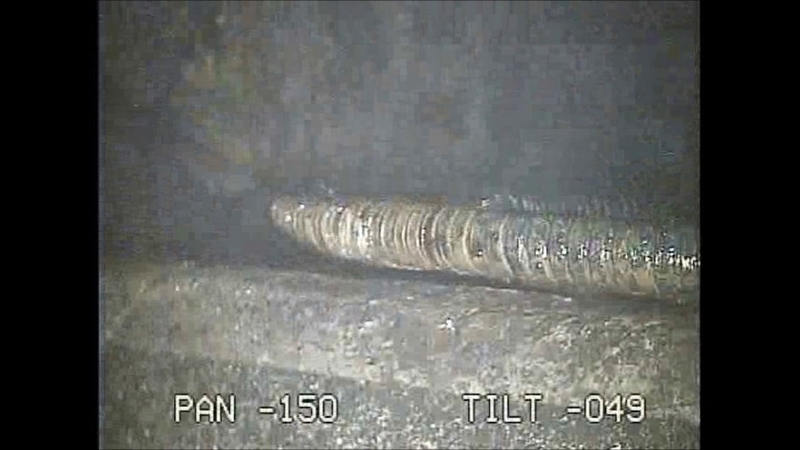 TIPS probe pipes can be seen in this image. 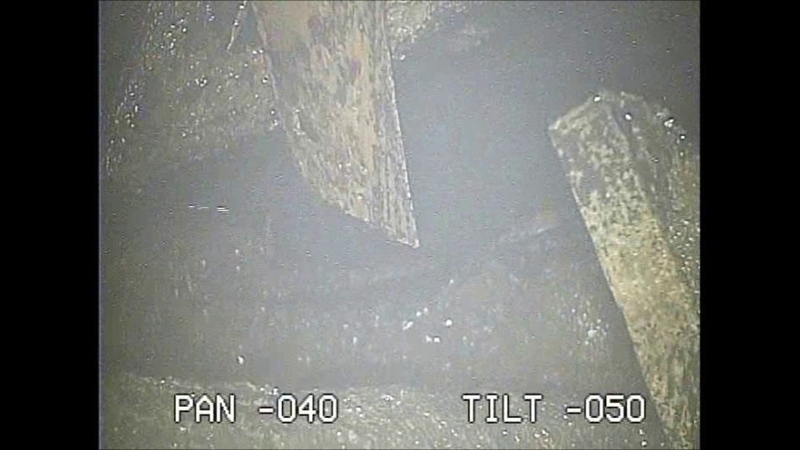 These pipes appear to be mostly intact. This “flat bar” section is closer to the pedestal wall yet shows what appears to be possibly brown corium on the surface. 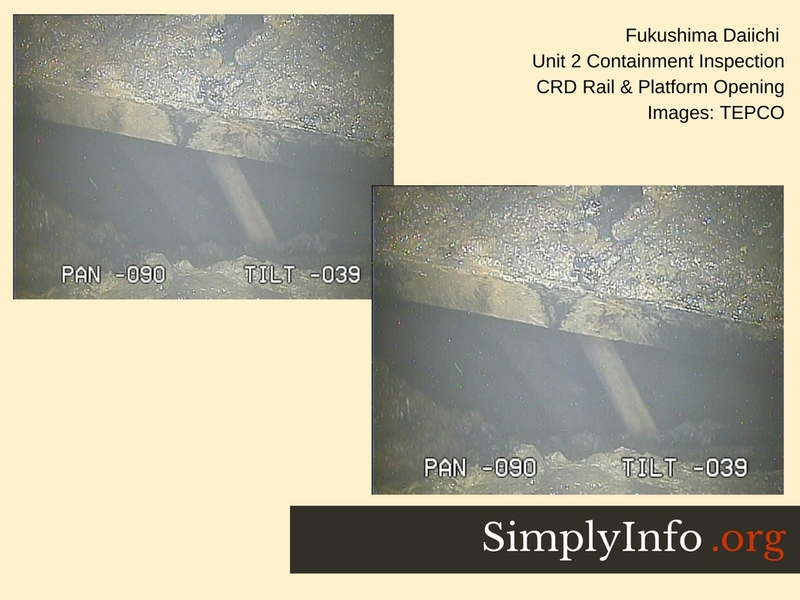 The CRD platform appears to have the same residues. This section of pedestal grate appears worse than others, showing a slumped appearance in parts and the same thick residues. 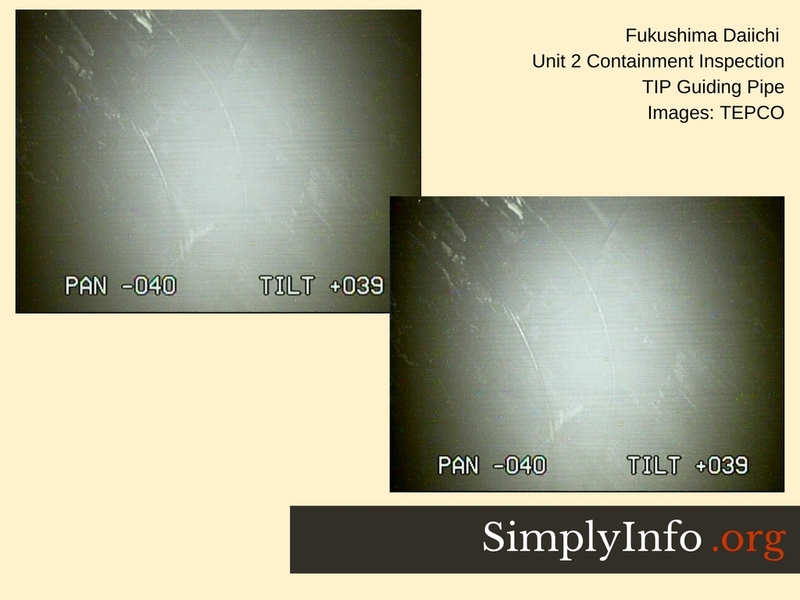 Below are some of the additional images we obtained from the video. 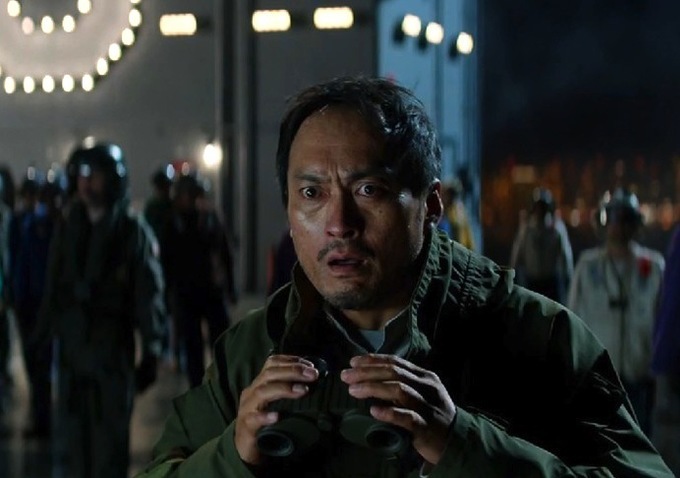 What happens next appears to fall into IRID & Toshiba’s court. With this information in hand they will need to determine if the robot can travel along the pedestal grate in the current conditions. 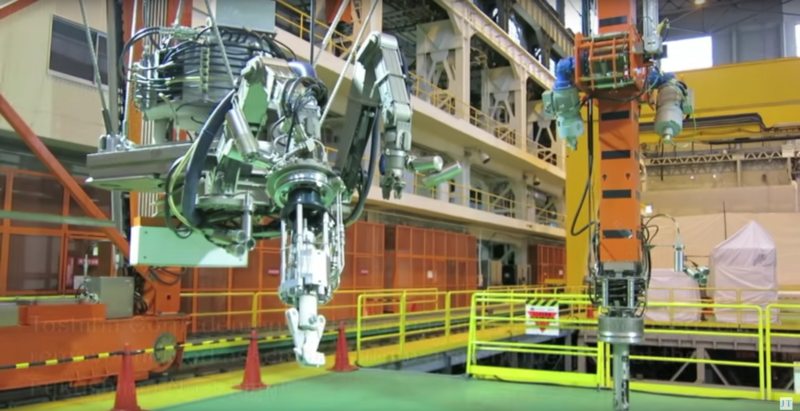 The robot is equipped with a water jet capable of blasting some debris out of the way. 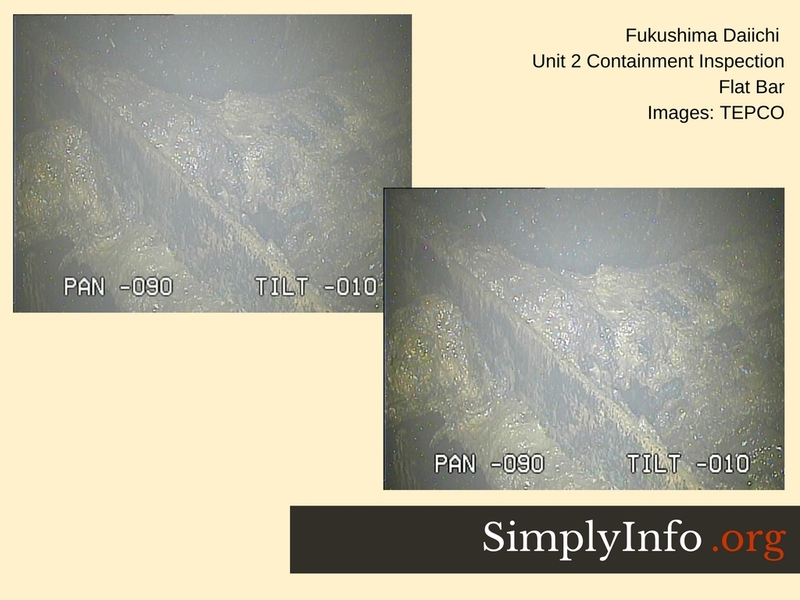 It is not clear if it would be able to dislodge chunks of corium that may be fused to the grate. If it is capable of breaking off these chunks the remaining grate may be extremely uneven or with holes. So far test runs of the robot have been conducted on intact grating materials.